Herman Miller's line of office chairs might offer extreme comfort with proper ergonomics, but they're lacking a certain something to ensure your co-workers cower at your feet. A certain something this $30,000 life-size Game of Thrones replica has in spades. 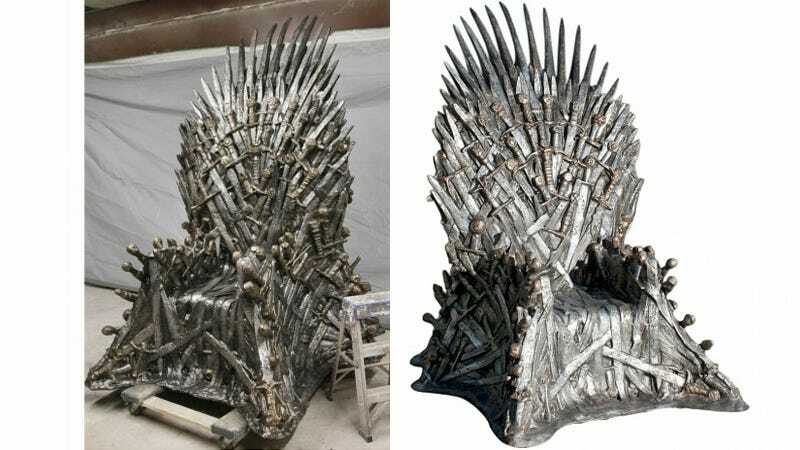 The throne looks like it was formed from thousands of melted down swords taken from the defeated enemies of the Seven Kingdoms, but in reality it's all fiberglass—cast with a mould created from a foam replica carved by an industrial robotic arm. But no one at work has to know that. You can just tell them it's made with thousands of extra-large letter openers claimed from vanquished interns and retirees from years gone by. And if they still don't believe you, just burn their breakfast bagel at the stake to send a message of fear and intimidation to all who work the day shift.